40 - $134.99 Only 4 left! Pop quiz, hot shot! 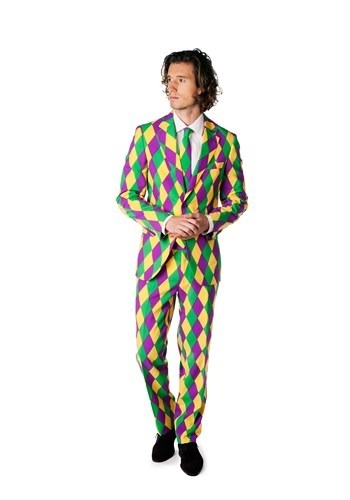 When you need to combine your unquenchable desire to party with a classy suit, what do you do? Shoot the hostage! 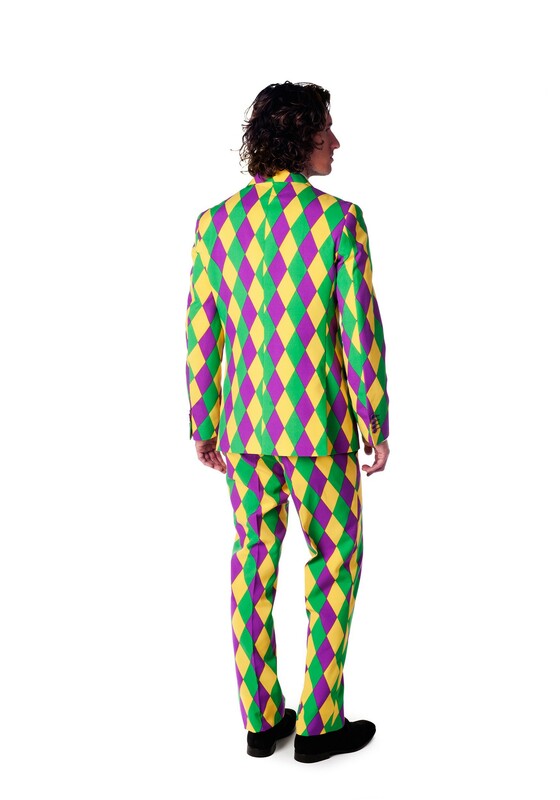 Showcasing the traditional Mardi Gras colors of purple (for justice), green (for faith), and gold (for power), this Men's OppoSuits Mardi Gras Suit lets you celebrate in The Big Easy while also keeping your dapper wits about you. It's 100% polyester (200% amazing, according to the product label), has a fully lined suit jacket, and the pants are intentionally long for styling with casual footwear. It also comes with a matching necktie (and it's not a clip-on, so learn how to tie a tie already, ya joker!). The suit has a slim fit design, so please consult the size chart...but if tailoring is required, the OppoSuits were made to be tailored with ease (get it? The Big Easy, "tailored with ease"? Alright, guess we weren't as clear with that pun as we thought...). Also, the pants have front and back pants pockets, which keeps your hands free for beads, drinks, and air trumpet (hot party tip: Pick-pocketing is as old as Mardi Gras, so make use of those front pockets when it comes to your wallet and phone, bud). So the next time Fat Tuesday slides around, you'll know what to do: Slip on the Men's OppoSuits Mardi Gras Suit and let the good times roll!